Tonight there is a meeting at the Betty Rodriquez Regional Library for public comment on proposed changes to the trout regulations. If you would like to know about the changes and give your imput come to the meeting tonight. If you cannot make it you can also go to the CDFW web site and make comments on the changes. Looking at the proposed changes I am concern that it appears that all waters will not become lure fishing and it is not clear to me if changes to fly fishing waters will remain the same. Also if you want to see changes in creel limits due to decreased stocking by CDFW here is a good time to make your comments. If you do not voice your approval or concerns no one else will. So see you at the meeting tonight. Please pass this on to anyone that it interested in trout fishing in CA. 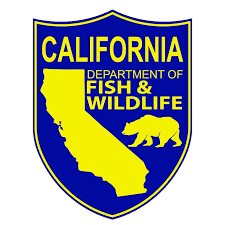 I’ve spoken to many of you about this already or you have heard, CDFW has released their proposed regulation simplification package for inland trout fisheries. The chance to comment is in person at upcoming public meetings or online now. I made a chart comparing current versus proposed CDFW proposed regulations for Southern Sierra, So Cal and West Slope waters. The chart is in an attachment. It’s also at the bottom of this email, but the formatting may be hard to read in email. This will hopefully help when thinking about concerns for your home waters. Most changes include extending season to year around, removing size restrictions and barbless hook restrictions. Note – There are very significant changes to Merced River regulations. (86) Kern River (Kern and Tulare Cos.). (B) From Johnsondale bridge upstream to the point where U.S. Forest Service Trail 33E30 heads east to join the Rincon Trail. Last Saturday in Apr. through Nov. 15. Minimum size limit: 14 inches total length. Only artificial lures with barbless hooks may be used. 2 trout Saturday preceding Memorial Day through the last day in February 2 fish bag, artificial lures Removed minimum size limit. Removed barbless hooks restriction. Closed last day in February – Saturday preceding Memorial Day. (86) Kern River (Kern and Tulare Cos.)(C) From the point where U.S. Forest Service Trail 33E30 heads east to join the Rincon Trail upstream to the mouth of Tyndall Creek. Last Saturday in Apr. through Nov. 15. Maximum size limit: 10 inches total length for rainbow trout only. Only artificial lures with barbless hooks may be used. 2 trout Saturday preceding Memorial Day through the last day in February 5 fish bag, no gear restrictions Extended season to February . Removed maximum size limit. Removed gear restrictions. (D) Kings River from Pine Flat Dam downstream to U. S. Army Corps of Engineers Bridge on Pine Flat Road. Last Saturday in Apr. through Nov. 15. 5 trout per day 10 in possession Closed to all fishing all year Closed to fishing. (109) Mammoth Pool (Fresno and Madera cos.). June 16 through Apr. 30. 5 trout per day 10 in possession Saturday preceding Memorial Day through the last day in February 5 fish bag, no gear restrictions Opens and closes earlier. (110) Mammoth Pool tributaries (Fresno and Madera cos.) from their mouths to a point 300 feet upstream. June 16 through Nov. 15. 5 trout per day 10 in possession Saturday preceding Memorial Day through the last day in February 5 fish bag, no gear restrictions Opens and closes earlier. (117) Merced River (Mariposa Co.). (A) From the Happy Isles footbridge downstream to the western boundary of Yosemite National Park at El Portal. Last Saturday in Apr. through Nov. 15. Only artificial lures with barbless hooks may be used. 0 rainbow trout, 5 brown trout per day 10 brown trout in possession Move to 7.0 statewide reg Open year around. Added take for rainbow trout. Removed artifical lure and barbless hook restriction. (117) Merced River (Mariposa Co.). (B) From the western boundary of Yosemite National Park at El Portal boundary downstream to the Foresta bridge. All year. Only artificial lures with barbless hooks may be used. 0 rainbow trout, 5 brown trout per day 10 brown trout in possession Move to 7.0 statewide reg Added take for rainbow trout. Removed artifical lure and barbless hook restriction. (117) Merced River (Mariposa Co.). (C) From Foresta bridge downstream to Lake McClure. Last Saturday in Apr. through Nov. 15. 5 trout per day 10 in possession Move to 7.0 statewide reg Increased take in the winter. (125) Mono Creek (Fresno Co.) and tributaries from Edison Lake upstream to the confluence with the North Fork Mono Creek. June 1 through Oct. 15. 5 trout per day 10 in possession Saturday preceding Memorial Day through the last day in February 5 fish bag, no gear restrictions Season extended from October to February . (140) Piru Creek (Los Angeles and Ventura cos.). (A) Piru Creek and tributaries upstream of Pyramid Lake. All year. Only artificial lures with barbless hooks may be used. 2 trout All year 2 fish bag, artificial lures Removed barbless hook restriction. (167) San Gabriel River, West fork and tributaries (Los Angeles Co.). (A) Upstream of Cogswell Dam (including Cogswell reservoir and its tributaries). All year. Only artificial lures with barbless hooks may be used. 2 All year 2 fish bag, artificial lures Removed barbless hook restriction. (172.5) Santa Ynez River and tributaries upstream of Gibraltar Dam (Santa Barbara Co.) Also see Low-Flow Restrictions, Section 8.00(c)(3). All year 2 All year 2 fish bag, 4 fish possession limit, no gear restrictions Similar. Flow restriction still in place? (187) Stanislaus River, Middle Fork (Tuolumne Co.). (A) From Beardsley Dam downstream to the U. S. Forest Service footbridge at Spring Gap. Last Saturday in Apr. through Nov. 15. Only artificial lures with barbless hooks may be used. 2 All year 2 fish bag, artificial lures Open all year. Removed barbless hook restriction. (187) Stanislaus River, Middle Fork (Tuolumne Co.). (B) From the U.S. Forest Service footbridge at Spring Gap to New Melones Reservoir. Last Saturday in Apr. through Nov. 15. 2 All year 2 fish bag, 4 fish possession limit, no gear restrictions Open all year. all its forks and tributaries above the confluence with Pine Creek (about 50 yards upstream from the Blue Ridge road bridge, about 12-1/4 miles north of Springville). All year. Only artificial flies with barbless hooks may be used. 2 All year 2 fish bag, 4 fish possession limit, no gear restrictions Removed fly and barbless only gear restriction.